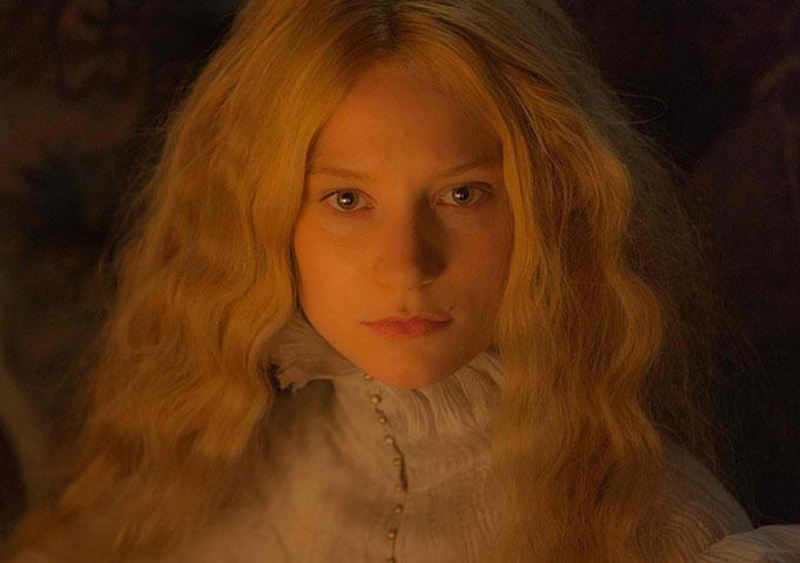 Home / Movies / Mia Wasikowska, from "Alice in Wonderland" to "Crimson Peak"
Mia Wasikowska, from "Alice in Wonderland" to "Crimson Peak"
An aspiring author, Edith Cushing is haunted by the ghosts of her past and cursed by the visions of her future. Losing her mother to black cholera when she was only 10 had a profound effect on Edith’s upbringing. She matured to the task of taking care of her aging father, all the while seeking the liberties of forward-thinking women in late Victorian society. Haunted by the memory of a warning heeded by her mother’s ghost, Edith developed a fascination for the supernatural and was set on publishing a novel of gothic fiction when her own life became a case for the story. To her credit, Wasikowska doesn’t see Edith as a heroine, nor that there is a definitive “good guy or bad guy” in the film. “All the characters are relatively ambiguous, enough that you could see them in either way…all of them doing what’s necessary to survive,” she muses. Survival for Edith entailed a fall in the mansion set, the most terrifying and exhilarating stunt that Wasikowska has ever performed. “It goes against all your instincts,” she laughs. But after a few rehearsals, the actress couldn’t wait to do it again. 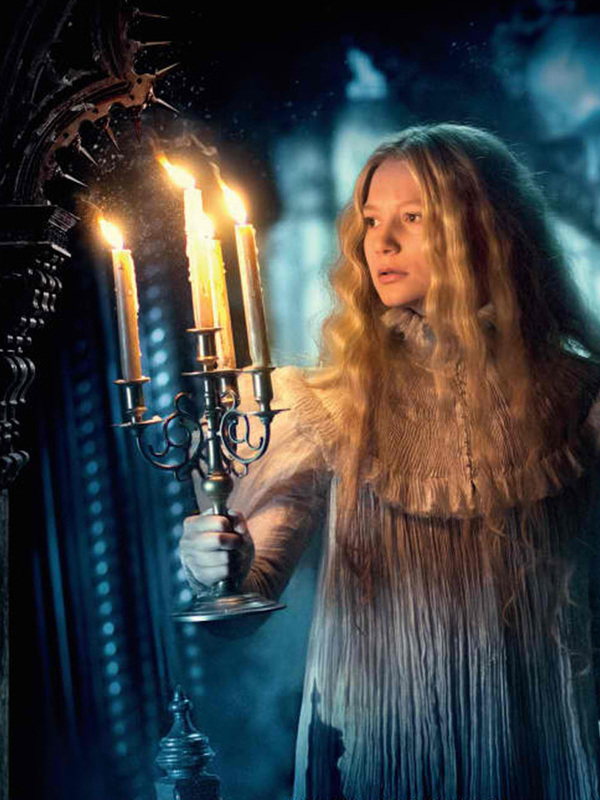 From the imagination of director Guillermo del Toro comes Universal Pictures' gothic romance “Crimson Peak” starring Mia Wasikowska (“Alice in Wonderland”), two-time Academy Award® nominee Jessica Chastain (“Interstellar”), Tom Hiddleston (“Thor” series) and Charlie Hunnam (“Pacific Rim”).